This is the longest stretch i have been in Singapore in the last year or so - six consecutive weekends !! 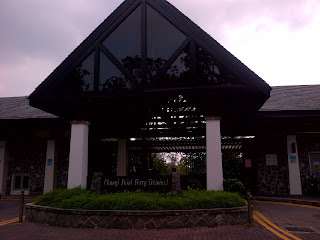 There was a pumping desire to get out and Pulau Ubin seemed a very good prospect for a weekend getaway. 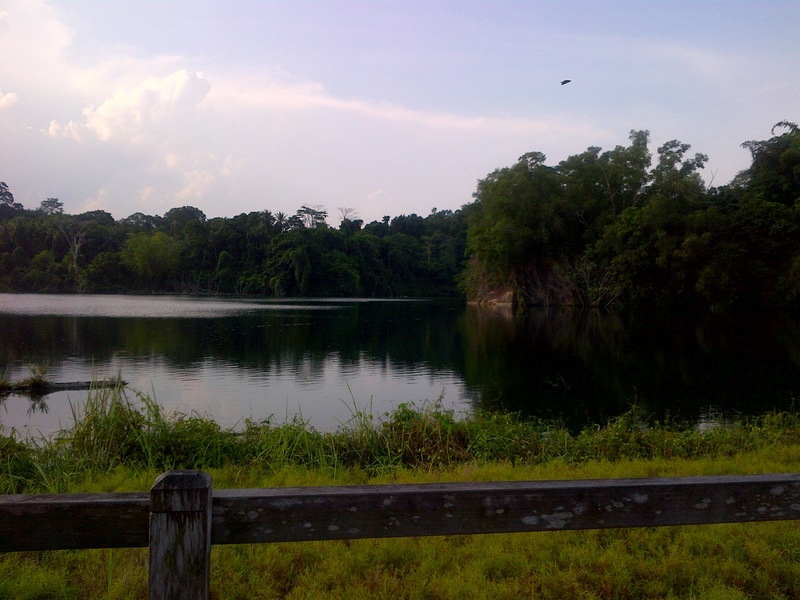 Pulau Ubin is a small island on the border of Singapore and Malaysia and is part of Singapore. 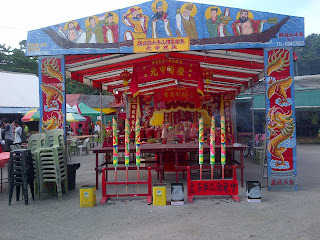 It is 'unspoilt' in the words of a Singaporean... You can rent bicycles at throwaway prices (<$10 per day - depending on the type of bike) and explore the entire island on a day trip from Singapore. 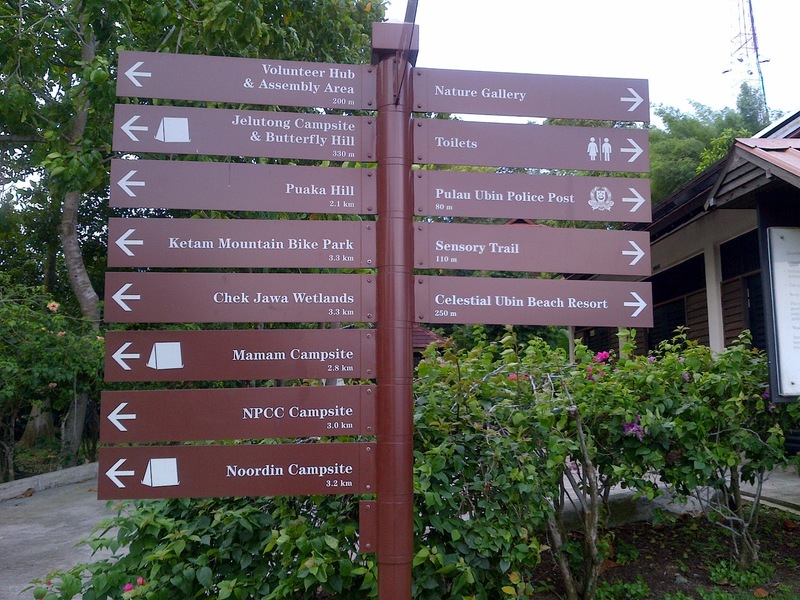 The trails are neatly marked and well maintained. My camping gear was lying idle for a long time and i wanted to put them to use. So, I decided to pitch up my tent at Ubin. Jelutong Campsite: This campsite is the nearest to Ubin Jetty - less than 10 mins walk from the entrance. This was crowded when i reached. I presume that must be true irrespective of the day you go. But, I heard that the coastline is pretty long at this campsite and can accommodate quite a few tents. Noordin Campsite: 3+ Kms from the entrance. This is towards the farthest end of Ubin and gives a view of Johor straits. Not as busy - but then space is limited too because of the international border cutting through the coastline. The coast is not wide too so that adds on to the space constraint. I would say it can hold 10 tents max..
Maman Campsite: This is just less than 3 kms from the entrance. I did not have a chance to visit this. I would assume this is not as crowded as Jelutong. 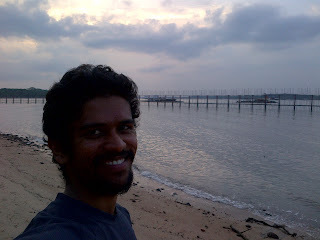 It was 530 PM by the time i stepped in Ubin. Went straight to the Police check post to register - Registration is compulsory for all campers. You don't have to de-register - you give all the details just once. Day hikers/bikers need not register. I went straight to Jelutong and found a bunch of tents pitched up. 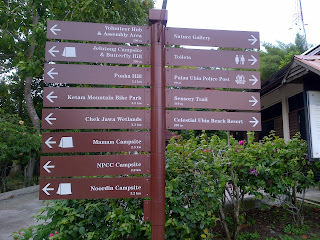 The last thing i wanted was a party night at Ubin. It was 545 PM and the sun was coming down. I had an hour or so before sunset. I knew i would not be able to check both Noordin and Maman without walking in the dark. I have had some bad experiences pitching up tents in the dark and hence wanted to avoid that. I decided that i would camp at Noordin irrespective of the state of the campsite. Reached Noordin around 615 PM and found an extended family having a fishing weekend. I walked towards the end to find a spot that is a little peaceful. That's when I met Raman, the head of that family. He was a very nice guy - mix of Singapore/Malaysia (the name sounds Indian though!). 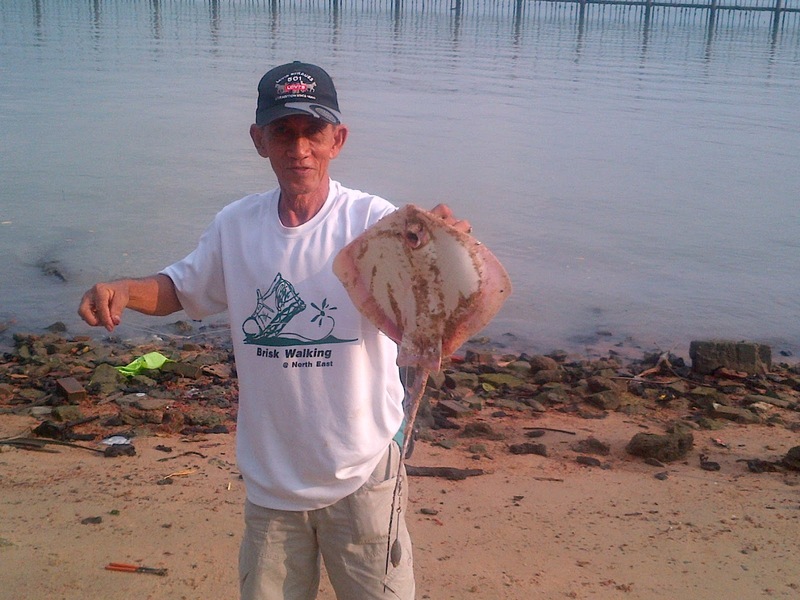 Apparently, he was a regular visitor of Ubin. He warned me of the high tide that night. 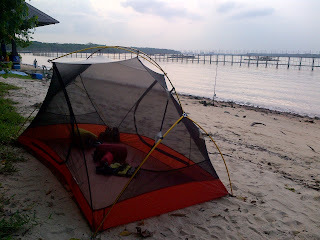 He recommended me to pitch my tent as far as possible from the shore - I did just that, pitched it right next to the railings beyond which there was a forest. The next morning, i headed straight back to Singapore to get back to the Monday-Friday grind. 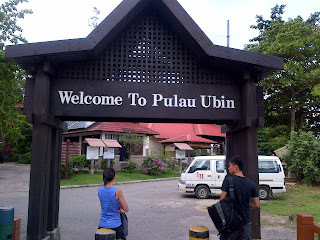 There is no immigration/customs as Ubin is a part of Singapore. Your bags are scanned on your return. Singapore citizens/Long term pass holders: You don't need your passport. Just your IC should suffice.